Man made threats on our oceans are pushing the last remaining species of sea turtles to the brink of extinction. Oil spills, plastic pollution and ocean acidification are just a few of the issues creating such distress. 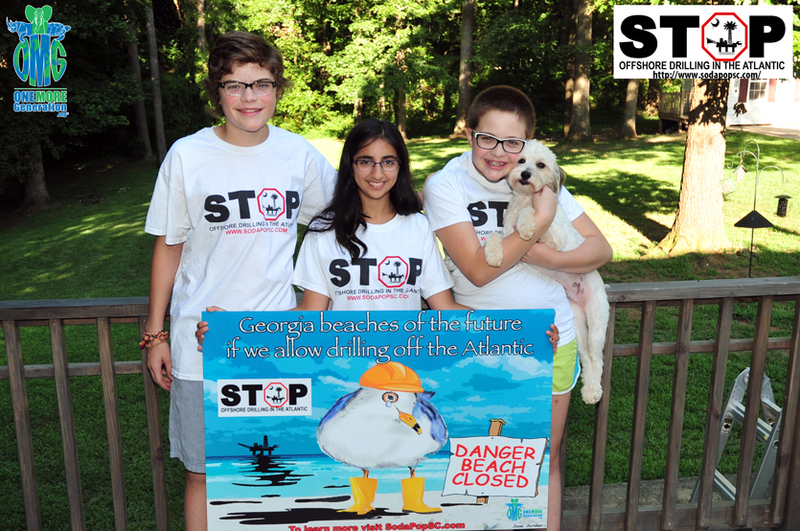 Carter and Olivia try to get involved with as many initiatives as possible to help protect sea turtles. 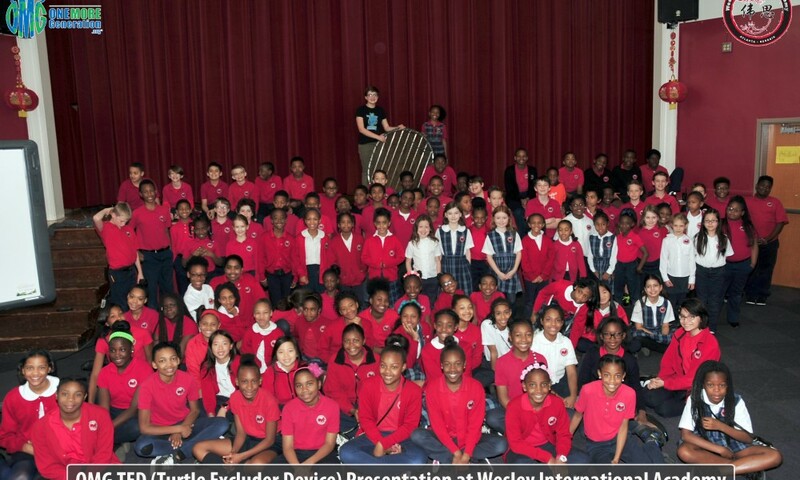 Check out some of them below! You see, here’s the Problem; The U.S. government in 20?? 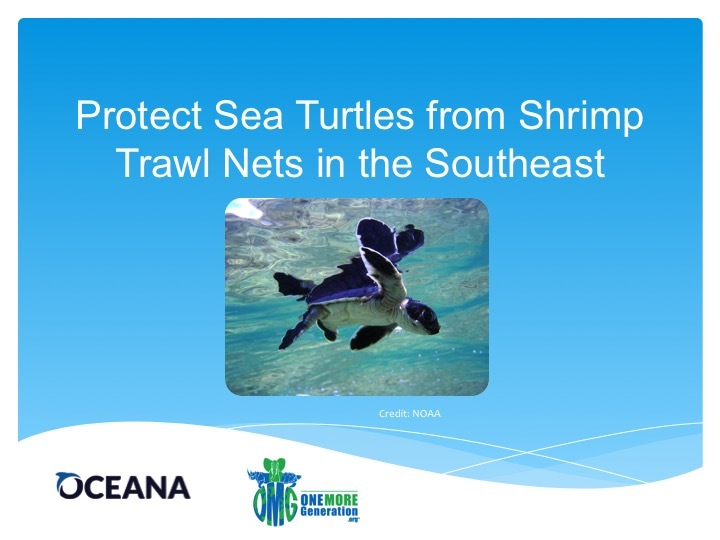 Estimated that over 50,000 endangered and threatened sea turtles are needlessly being killed every year by certain shrimp trawl fishing boats in the South Atlantic and Gulf of Mexico. Did you know that BOEM’s (Bureau of Ocean Energy Management) draft 5-year program estimates that only 550 million barrels of oil are available off the South Atlantic Coast? Why should we be drilling for oil when we know how limited the supply is off our waters. Haven’t we had enough of the oil industries “Drill, Spill and Repeat” practices? 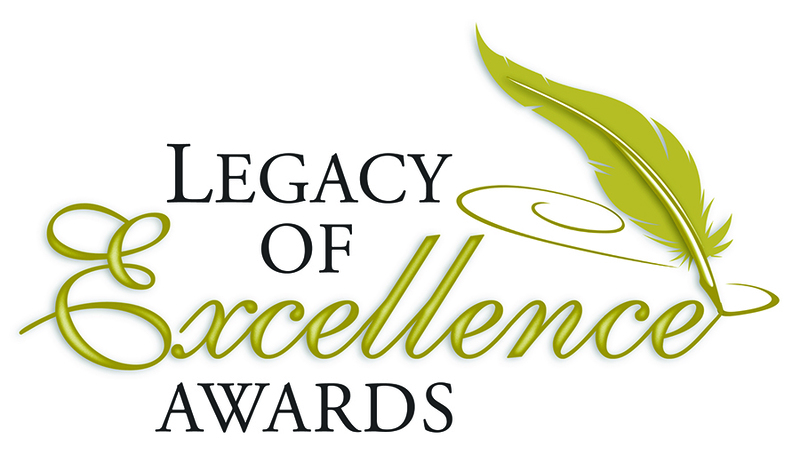 The Fulton Education Foundation recently announced that One More Generation was chosen as the 2013 Prestigious Partner of the Year Award. The impacts of ocean acidification are already impairing waters off the West Coast of the United States; scientists have found corrosive waters all along the coast, from Canada to Mexico. Wild oysters in Washington have failed to reproduce for the past six years, due in large part to acidification. A survey found Puget Sound’s waters are in particular trouble. 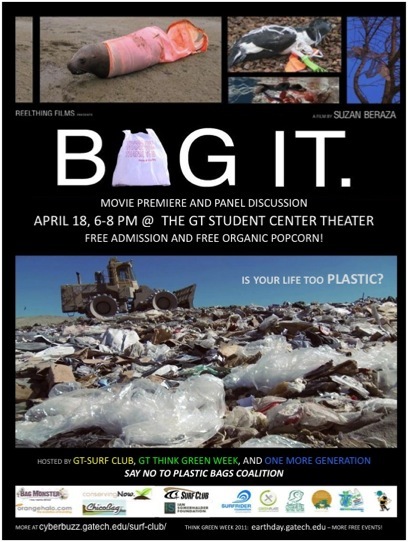 In an effort to raise awareness about the serious issue of Plastic Pollution (and in particular Single-Use Plastic Bags), we have partnered with GA Tech’s Think Green Team and the folks from the GA Tech Surf Club to bring you this award winning documentary which explores how much each of us currently depend on plastic. 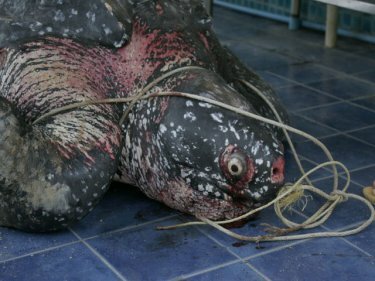 THE NIGHTMARE of human pollution was exposed for all to see today when Phuket veterinarians cut open a giant leatherback turtle in a post mortem. Inside the stomach, the cause of the wonderful creature’s death became apparent. Six plastic bags obstructed the 15-year-old turtle’s digestive system, preventing food from being absorbed. Every year, sea turtles travel thousands of miles to return to the beaches where they were born, to lay eggs and start a new generation. 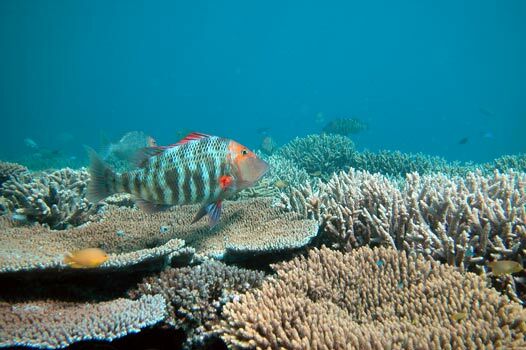 Along the way, they face habitat destruction, plastic pollution, and deadly fishing gear. During our recent trip to the Gulf where we delivered the Animal Rescue Supplies, we were accompanied by the folks from the German Public Broadcast Station ZDF who does programiong for their kids station “Logo” which is equivalent to our Nickelodeon channel. The center has mainly Kemps Ridley Sea Turtles which are classified as Critically Endangered with an estimated 3,000 left in the wild. Unfortunately, the Gulf is their primary home and breeding area. They also had a few Green Sea Turtles, some Hawksbills Sea Turtles, and a few Loggerhead Sea Turtles. Here are some of the highlights from our amazing trip to the Marine Mammal & Sea Turtle Rescue Center in New Orleans which is run by the Audubon Nature Institute. OMG Animal Rescue Supply Delivery from 1moregeneration on Vimeo. Well, it’s finally here. After months of planning and coordinating, we are finally ready to head down to Louisiana to deliver the badly needed supplies to support the courageous efforts of the men and women who are working so hard to help save the oiled seabirds, turtles, and other animals who have been caught up in the tragic oil spill. Dear Loyal Supporters, We are in need of some assistance. We are attempting to collect crucial supplies to help with the Seabird/Animal rescue in the gulf.